Accommodations with affordability, accessibility and amenities. Accommodations: Private, secure, clean rooms. Affordability: Low pricing but not low quality. Accessibility: Close to major transportation routes, located in the heart of the city and close to popular attractions as well as shops and convenience stores. Amenities: Free use of shower rooms, nearby public bath facilities, western style toilets, washing machines available. Internet service . 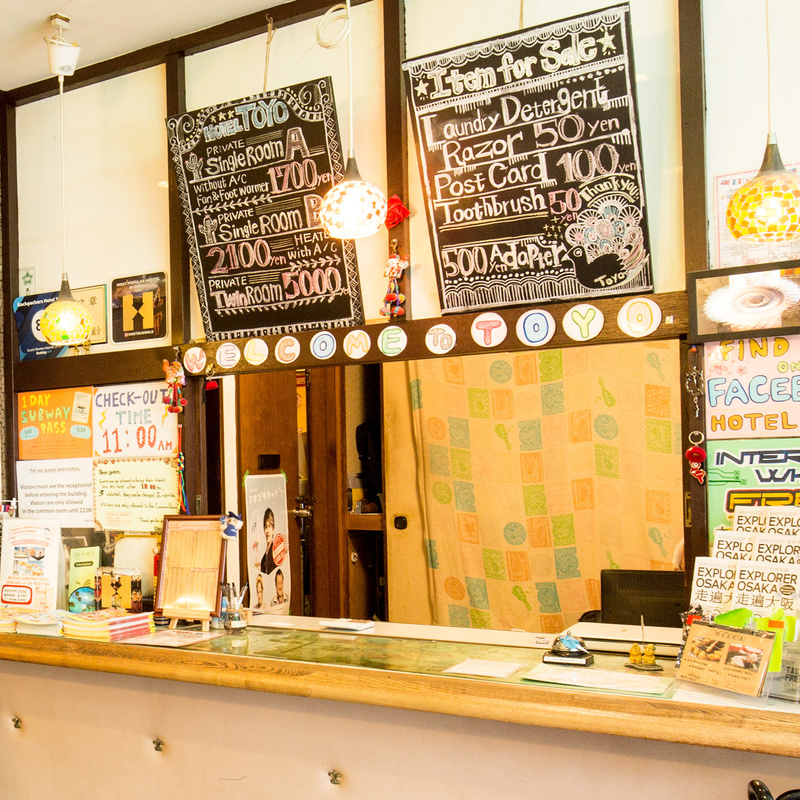 ● All rooms are private Japanese tatami mat rooms with shared toilets and shower facilities. 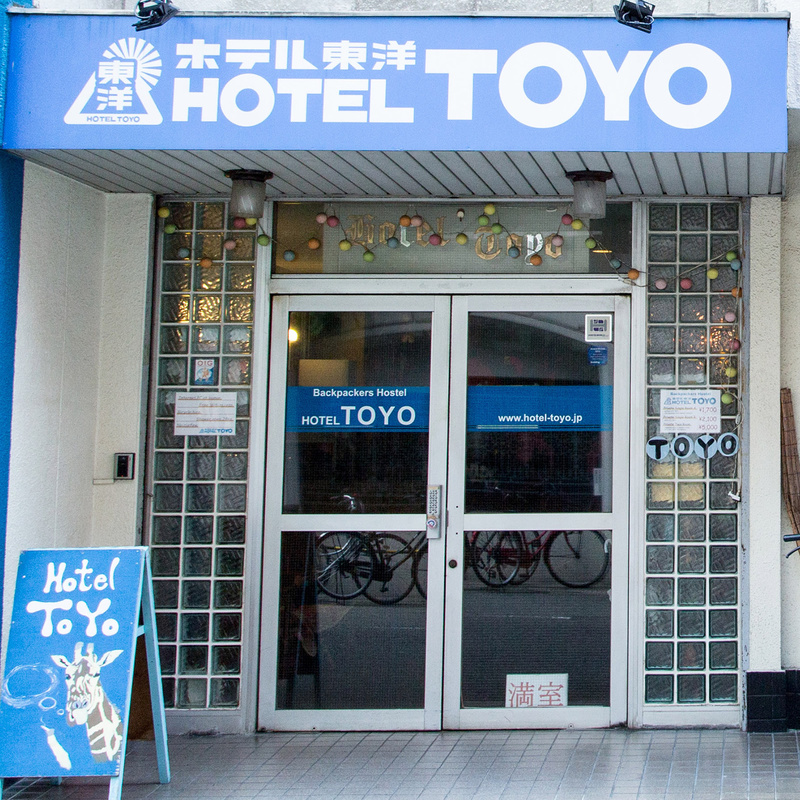 ● Single A: Rooms at JPY 1,700 have no air-conditioner & heater but include a fan in summer (or a Foot warmer in winter). 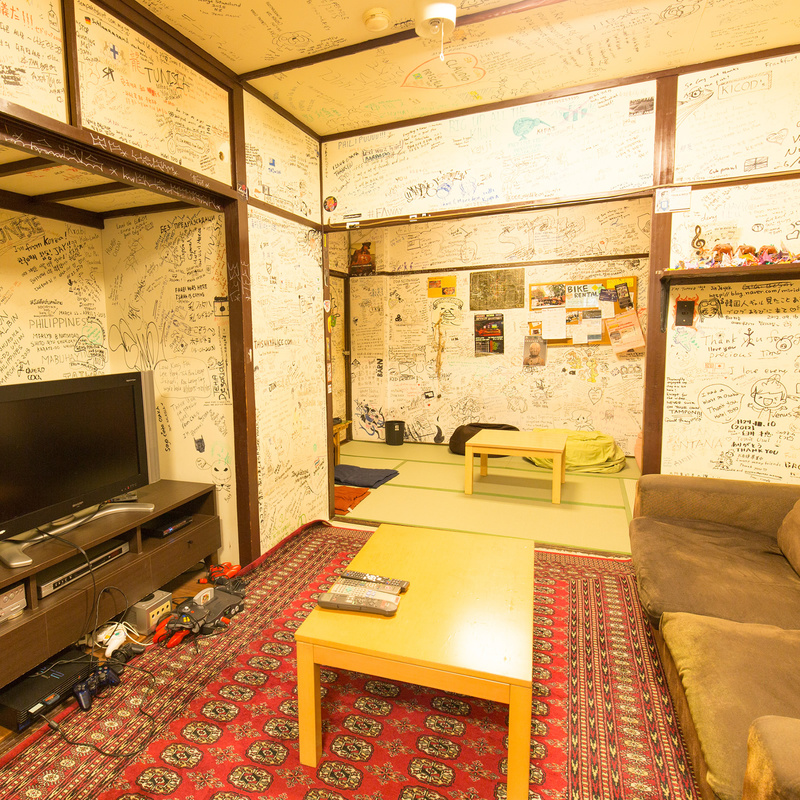 ● Twin (Japanese-style or western-style): Rooms at JPY 5,000 include an air-conditioner,heater and Refrigerator. 2 minute walk from: Midosuji Subway Dobutsuen Mae station exit no.2. 3 minute walk from: JR Loop Line Shin-Imamiya station East exit. Approximately 40 minutes from Kansai International Airport, 40 minutes from Itami Airport, and 30 minutes from Shin Osaka Station. Discount and convenience stores: 1 minute walk. Tennoji Zoo: 10 minutes walk.